The Belfry Residential Home will provide a safe, homely and caring environment, ensuring personal privacy and the maintenance of individual dignity. Personal independence will be encouraged along with high standards of individual care. 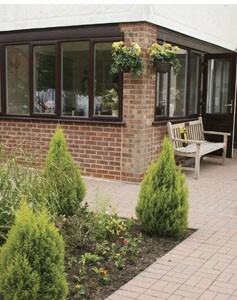 It is recognised that this residential home is the resident’s home with the consequent right of choice. The contribution made by the resident’s relatives and friends will be encouraged. The residents will be encouraged at all times to seek the advice of their medical practitioner and their recommendations will be discussed and planned with the residents. A care plan will be designed for the needs of the individual, based on the activities of daily living. The resident will be assessed over a period of weeks to establish their needs both during the day and night. This will enable both resident and staff to fully understand and maintain their needs. The care plan will be evaluated and updated on a regular basis and at all times the resident will be involved in all decision making on the care they wish to receive. Care is planned with you, your family or your advocate. You will be involved in your care and subsequently you will be encouraged to make decisions. We will strongly recommend your rights to independence, dignity, choice and individuality. Our manager, care staff and ancillary staff are all trained, caring and professional. You are able to retain your GP or use the GP who visits the home on a regular basis. We have regular visits from our chiropodist and also our hairdresser. We have a regular church service. Should you wish to receive a visit from a particular representative of your own religion we will endeavour to arrange this for you.